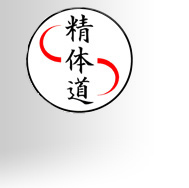 Goyararu Martial Arts, Birmigham, West Midlands, England, UK - Goya Ra Ru Karate, Kung Fu, Freestyle, Kickboxing, Lessons. 1. Facing forward, lift the thigh of the rear leg to the side of the body with the knee pointing out to the side. (c) rotate the hips forward by rotating on the supporting foot. 3. Retract the leg back, momentarily keeping knee pointing forwards to act as a guard. 4. Return the foot to the ground form a stable posture. a) Extending or recoiling the leg with the knee lower than the ankle. 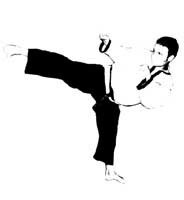 b) Striking with the toes (risking a break) or top of foot (hyper-extending the ankle). c) Cutting short the initial lift to the side. d) Waving the arms around. g) Hesitating after the initial lift and losing the momentum of the lower limb. When performing the kick free-in-air, it may help to pull back the forward arm to act as a counter balance to prevent 'overshooting'. Note that this is not required when striking a solid target as the impact itself provides the backward force. However, this upper body counter balance movement could in theory be used to stop the body from continuing to turn should the kick actually miss! Care should also be taken not to hyper-extend the knee joint when performing this kick free-in-air. For combat, the shin can also be used as the striking weapon. For semi-contact style competition, power may be sacrificed for speed and the 'round' tragectory of the foot made much shorter. a) The thigh need not be brought up to the side of the body as in the classical version. Instead, just bring the leg up so that the knee faces towards the target. 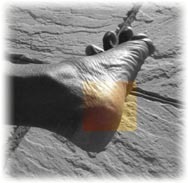 c) Where contact is light, the top of the foot can be used as the striking area. d) The kick is delivered from the forward leg.